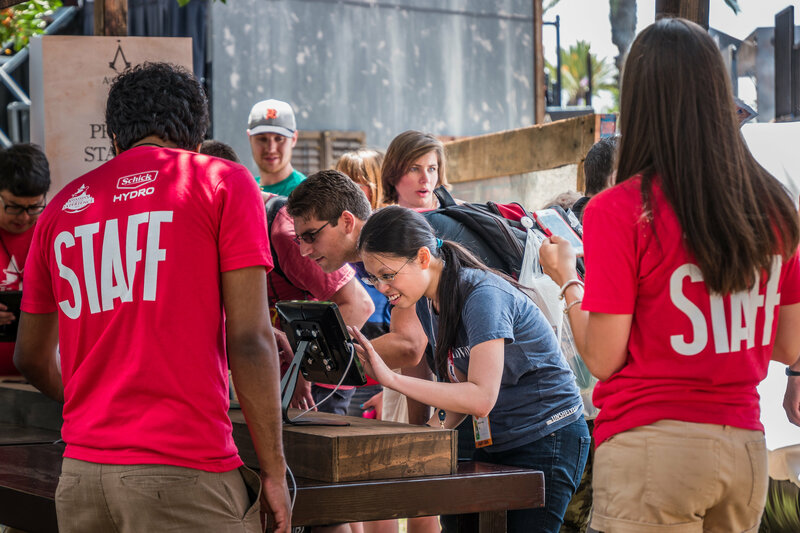 eshots, Inc. was chosen as a strategic partner for Ubisoft's experiential activation-Assassin's Creed Experience at the 2015 San Diego Comic-Con. Ubisoft was promoting the successful Assassin's Creed brand with a game-inspired obstacle course for Assassin's Creed® Syndicate. eshots successfully integrated advanced lead capture technology, photo activation elements, digital waiver collection and email/social media sharing capabilities into the cutting-edge consumer activation. These technologies allowed Ubisoft to collect thousands of leads, improve brand awareness within their target market and create buzz beyond the event. "eshots helped us to deliver an amazing digital activation around our physical presence at San Diego Comic-Con for Assassin's Creed Syndicate," said Matthew Weissinger, Director of Marketing, Ubisoft. "By allowing fans at the activation to easily share their experience on social media, eshots enabled Assassin's Creed fans from around the world to participate in the Assassin's Creed experience."